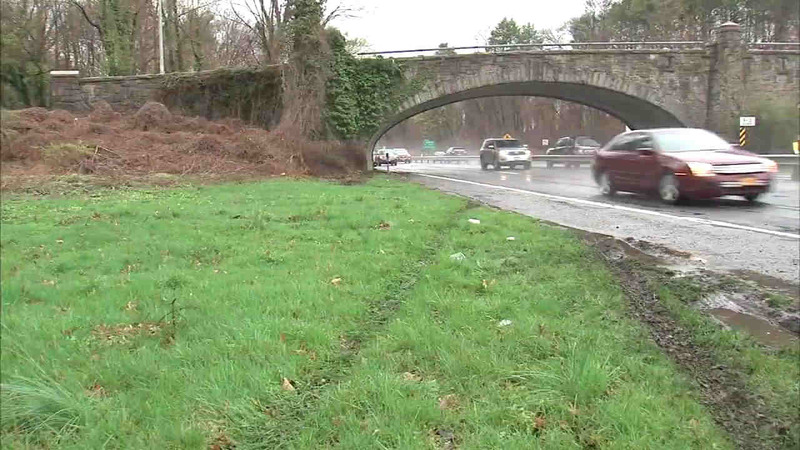 YONKERS, New York (WABC) -- A man's body was found Saturday morning alongside the Bronx River Parkway in Yonkers. Around 4:40 a.m., a driver saw the body off the shoulder, south of the Scarsdale Road exit, and reported it to police. The Westchester County Police responded and describe the victim as a middle-age white or Hispanic man. He was partially clothed. The cause of death and the identity of the deceased are unclear. It also is unclear whether the man died at the scene. An autopsy will be performed by the Westchester Medical Examiner's Office. The parkway was closed southbound at Scarsdale Road but had reopened by noon. Anyone with information on the case is asked to call 914-864-7701.